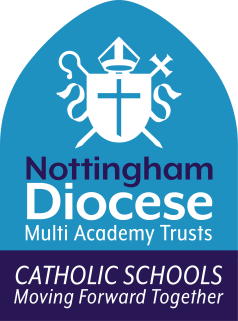 Blessed Robert Widmerpool Catholic Voluntary Academy is an outstanding school situated in Clifton and is part of the Corpus Christi parish. It is a Catholic school where Christian Values underpin every aspect of school life. Our Mission Statement outlines how these values influence our aims and guide our work together. The school aims to create a happy and secure environment where all children can reach their potential – spiritually, morally, culturally, physically and academically. Children are encouraged to be responsible for their own actions and a culture of independence and respect is promoted through our core values. Blessed Robert Widmerpool promotes its Catholic ethos through stimulating and creative liturgical worship. The curriculum of the school, underpinned and inspired by the teachings of the Catholic Church, recognises that each child is a unique and valued individual. The curriculum promotes respect for the views of each individual child, as well as for people of all cultures. Each child is respected and treated with fairness and honesty. Equal opportunities for all children enables all in the school community to reach their full potential. The curriculum is all the planned activities organised to promote learning and personal growth and development. It includes not only the formal requirements of the National Curriculum, but also the range of extra-curricular activities that the school organises in order to enrich the experience of the children. It also includes the ‘hidden curriculum’ – what the children learn from the way that are treated and expected to behave. Building Learning Power involves developing the behaviours a child will need to face challenge calmly, confidently and creatively and as a result, give them the life skills that they need for their journey through school and into the real world. The way that the school teaches these behaviours is through the 5Rs which include: Responsibility, Resilience, Resourcefulness, Relationships and Reflectiveness.